This course combines theory and practice to immerse you in the core concepts of neural network models and the essential practices of real-world application. During the course, you programmatically build a neural network and discover how to adjust the model’s essential parameters to solve different types of business challenges. You implement early stopping, build autoencoders for a predictive model, and perform an intelligent automatic search of the model hyperparameter values. The last lesson introduces deep learning. 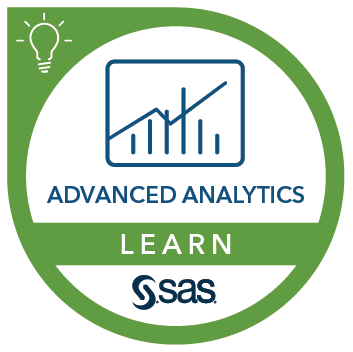 You gain hands-on practice building neural networks in SAS 9.4 and the cutting-edge cloud computing platform for big data analytics, SAS Viya. Programmatically build neural networks in SAS 9.4 and SAS Viya. Modify neural networks' parameters for better performance. Conduct automatic search for neural networks' hyperparameters through genetic algorithm. Enhance data with autoencoders and synthetic observations. Some familiarity with programming in SAS or SQL (or both). An understanding of predictive modeling. A basic understanding of calculus. Using a surrogate model to interpret neural network predictions.